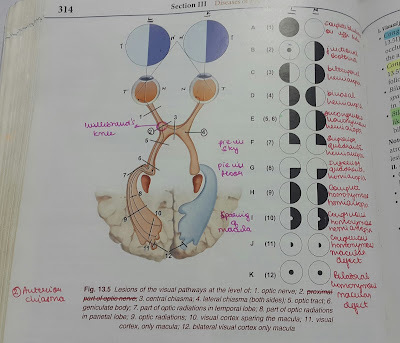 Visual pathway starting from retina consists of optic nerve , optic chiasma , optic tracts , lateral geniculate bodies , optic radiations and the visual cortex . could you please tell why the lesion at proximal part of optic nerve (labelled '2' in the pic) would lead to ipsilateral central scotoma? 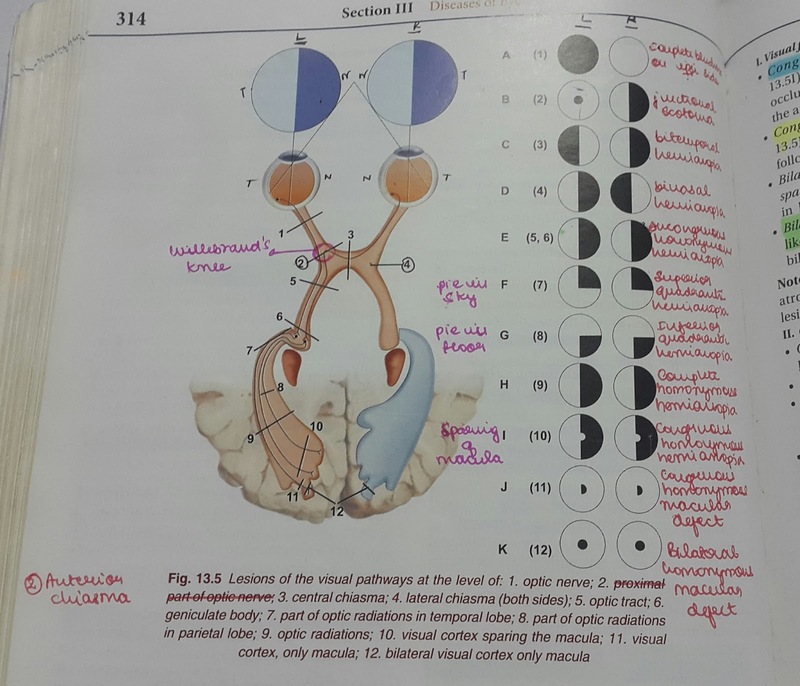 From my understanding, the lesion should lead to ipilateral complete blindness and contralateral temporal hemianopia. also, a compressive lesion would affect the peripheral fibres of optic nerve first. and these fibres are carrying signals from peripheral retina, right?..